On Tuesday, October 23rd, the CCE conference room was packed to the brim with students and alumni here for the Student-Alumni of Color Career Panel and Networking Event co-sponsored by the Center for Career Education and the Black Alumni Council. Alumni shared candid insights about navigating the job search and workplace as a person of color, maximizing resources, building their network, and working with colleagues with diverse beliefs, ideas, and attitudes. 1. People and relationships are your most powerful resource. 2. You bring value and deserve to be here. 3. Take advantage of all the resources on campus. 4. You are more than your GPA. Your passions and experiences can guide you and will be recognized by others. Enjoyed hearing from alumni? 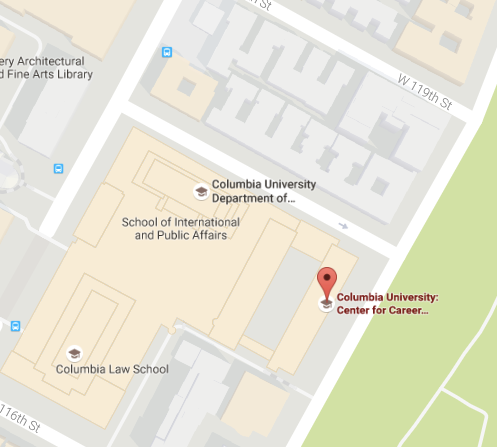 Stop by CCE for a 30 minute appointment to chat further about how to engage with Columbia’s vast alumni network!